Yeah, we did it - winning both EO and AWC tryouts in both S+M AND L category!!! Thank you to best two little doggies for being just brilliant and showcasing Xtreme Foundations so well, doing it all regardless of handler position 🙂 - Definitely my best Xtreme Foundations class/DVD advertisement! Thank you Diamond and Carlotta for all your help to let them shine! 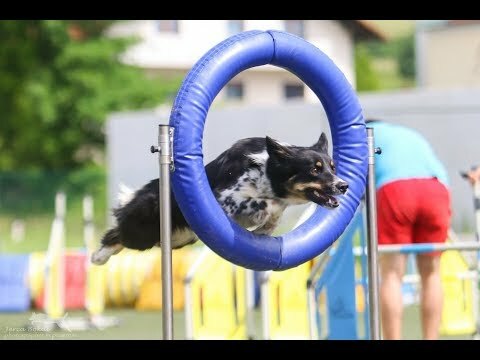 Thank you Slovenian Agility Committee for great tryouts on safest possible surface and obstacles, with EO and AWC judges - VERY much appreciated!!! Thank you judges for fun and fast courses - and for surviving the crazy hot sun!!! Not all runs included, but almost all of these were wins 🙂 - Super happy with my Super Midget and Crazy To 🙂 And yes, we DO love good old rear crosses!!! Awesome, Congratulations!!! So happy for you, and so glad To is doing well! I’m very excited to watch your runs at EO and AWC! Congratulations!! Great runs! Do you have any course maps? Congrats ! So awesome !